The officially licensed Needle Sword of Arya Stark is a must-have for your "Game of Thrones" collection. 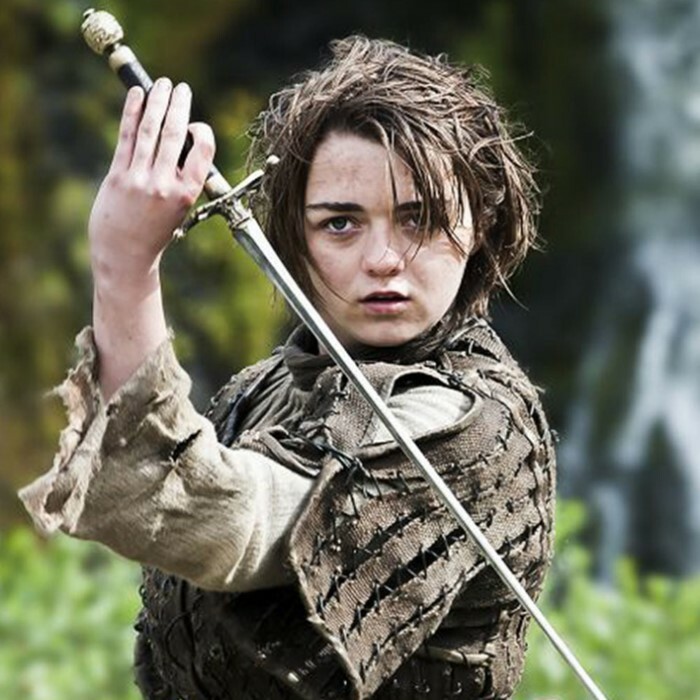 Arya Stark is as tough as nails and her weapon of choice compliments her in every way. Just like this painstakingly crafted replica will compliment your reproduction collection. 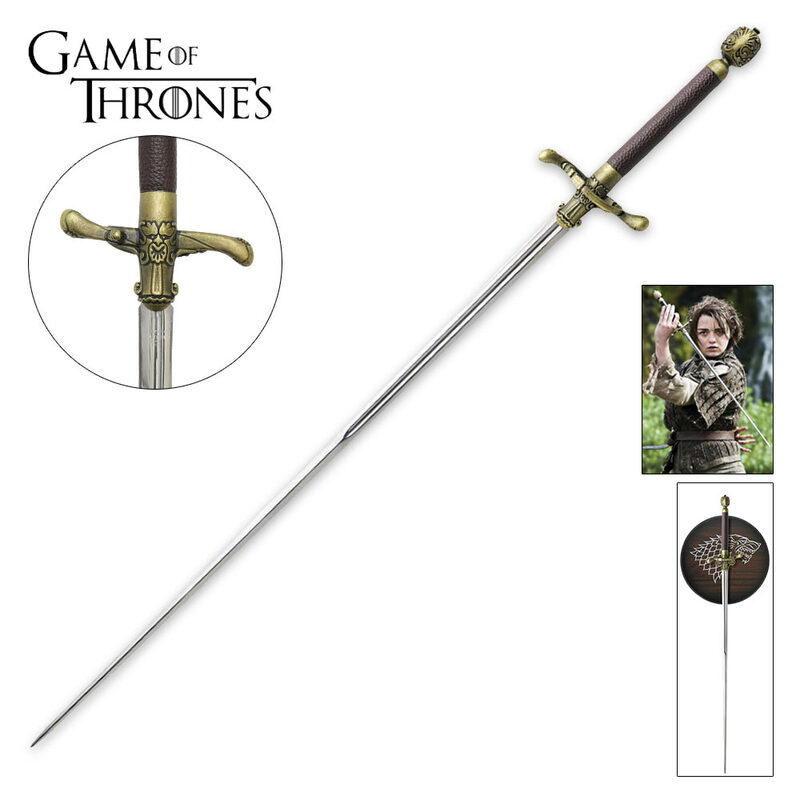 An incredibly detailed reproduction of the prop used in the popular series, this sword is individually serialized. It features a 22 1/2" stainless steel blade and a leather and antiqued brass handle. A wooden display plaque bearing the Direwolf sigil is included so that you can proudly display this masterpiece. Each sword comes with a certificate of authenticity.